A former chairman of Oluyole Local Government Area in Oyo State, Alhaji Kehinde Olaosebikan, has indicated interest to take over from Governor Abiola Ajimobi in 2019 as the governor of the state. The All Progressives Congress (APC) chieftain, has also urged the youths to take active interest in politics in order to contribute their quota to the development of their communities. The aspirant disclosed this yesterday in Ibadan, Oyo Sate during the launch of his campaign theme “‘Ojo Ola Oyo’ meaning the future of Oyo. 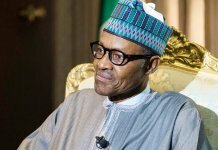 According to him, Olaosebikan said beyond ensuring that Nigerians of 18 years and above register and collect their Permanent Voter cards, early participation by the youths in the politics and development of their areas is the only way they can make good use of the ‘Not Too Young To Run Act’ recently signed into law by President Muhammadu Buhari. He noted that greater participation of youth in politics would tremendously strengthen democracy and accelerate developments in various parts of the country as more quality, energetic and vibrant people would be involved in the process of governance and developing the country, adding that early participation would help them to be focused, bold, responsible, responsive and hard working. A statement made available to THISDAY added that the Oluyole local council and other academic institutions in the state had adopted him as their governorship aspirant under the platform of APC ahead the 2019 election.